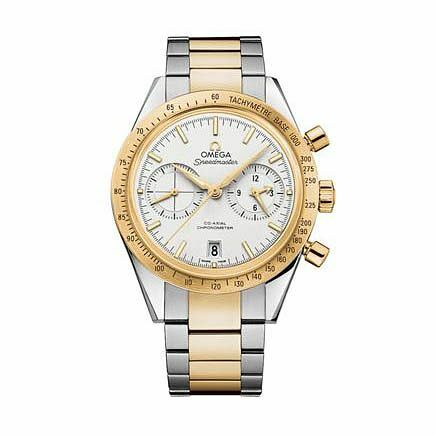 The Omega Speedmaster '57 co-axial chronometer is renowned for its precision and reliability. This sports inspired men's model is crafted with a stainless steel case with gold-plated tachymeter bezel and crisp white dial, along with a stainless steel and gold-plated bracelet. A rugged and durable timepiece for the sophisticated modern man.